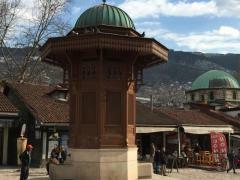 Staying in the popular hub of Bosnia-Herzegovina guests can experience a variety of eminent places of interest and engaging events. Those who require high class and ideal facilities will not be disappointed by 4 star Hotel Ero Mostar, presenting different activities and several restaurants. We consider keeping our clients sated an important task, that is why we present them with an opportunity to decide between different services, like bar, breakfast in the room, restaurant with dining menu and buffet-style restaurant. In case you have to you can easily transform your room into your on-line work station and keep up your tasks using WiFi. The services offered to you, like honeymoon suite, air conditioning and shared lounge/tv area, would make your stay with us the most convenient. Stylishly furnished guest rooms provide en suite bathroom, tv and wifi connection. Enjoy Mostar’s top landmarks through the windows of your twin room. Our rooms are providing quite a few bed options and 35-51 inches wide bed would ensure lovely dreams and wonderful sleep at night time. We are happy to present to you our best services and most commodious guestrooms with minibar. Guestrooms' dimentions range from 215 and must be checked while selecting your excellent option. Your vacation at Hotel Ero Mostar does not have to be only about work or sightseeing, spare a moment for healthy exercising, like tennis court. 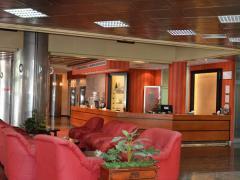 The hotel's personnel speak common languages, such as croatian, english and german. You can use americanexpress, euromastercard, eccard and maestro to arrange your payments. 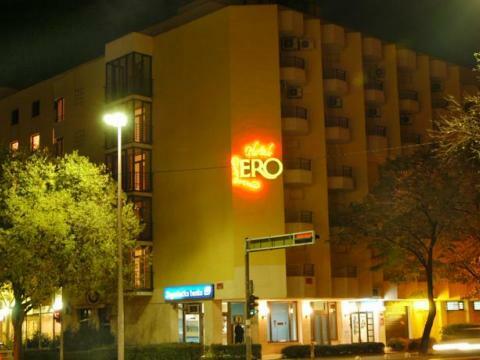 Why should you book Hotel Ero Mostar? Extra Beds All children are welcome. Free! One child under 3 years stays free of charge when using existing beds. There is no capacity for cribs in the room. There is no capacity for extra beds in the room. This property doesn’t accept travelers with pets – sorry Lucky! Copyright 2016 VeniHotels LLC | All rights reserved.